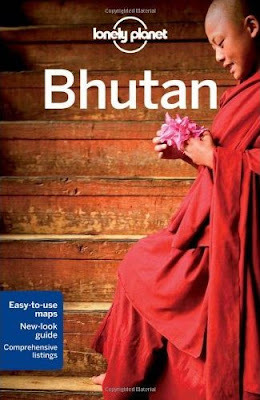 Lonely Planet, the world's largest travel guidebook publisher, will release its 4th edition of the Bhutan country guide next month. (The Kindle version is available now). While most Lonely Planet guides cater to independent travelers - often young backpackers - this one is obviously an exception. Information seems to be pretty up-to-date (Druk PNB and T-Bank are both listed), but there are a few misses. For example, the Nehru-Wangchuck cultural centre is not mentioned. For those interested to see what LP has to say about their favorite haunt, it is possible to read the book using Amazon's "Look Inside" feature (not all pages are available). Also, the "Read first chapter FREE" link on the right side of the Amazon page allows you to do just that. Lonely Planet guides are known for their wry sense of humor and strong opinions. Not this one, for some reason.